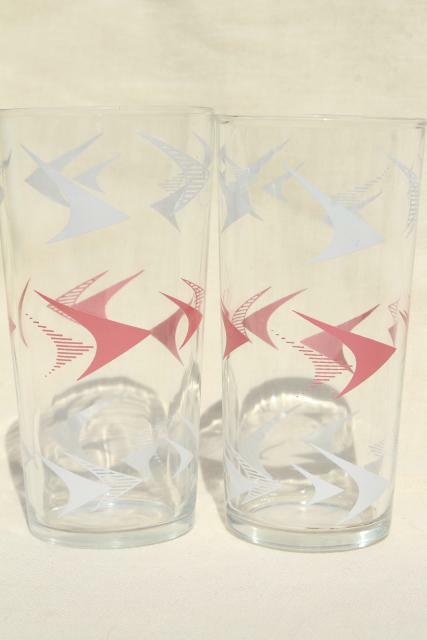 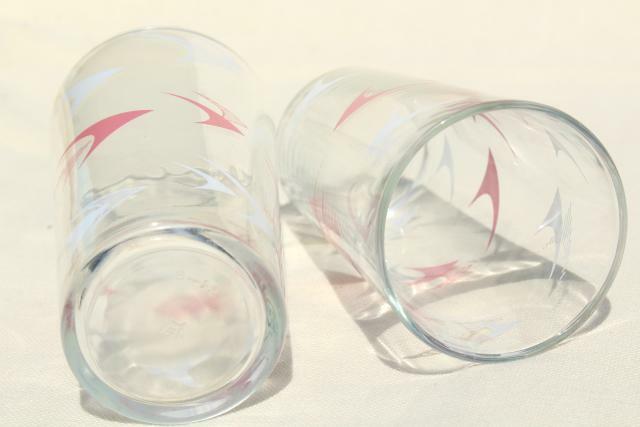 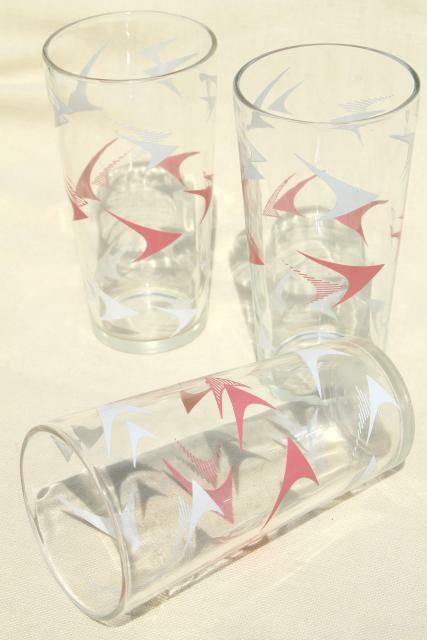 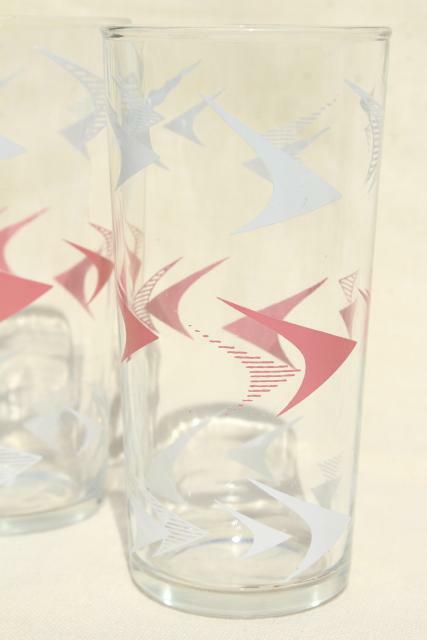 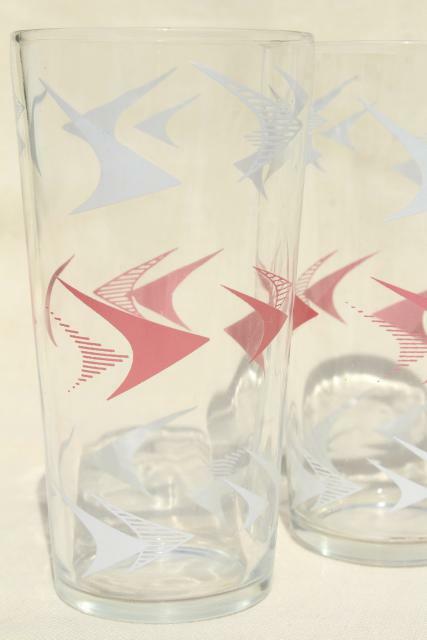 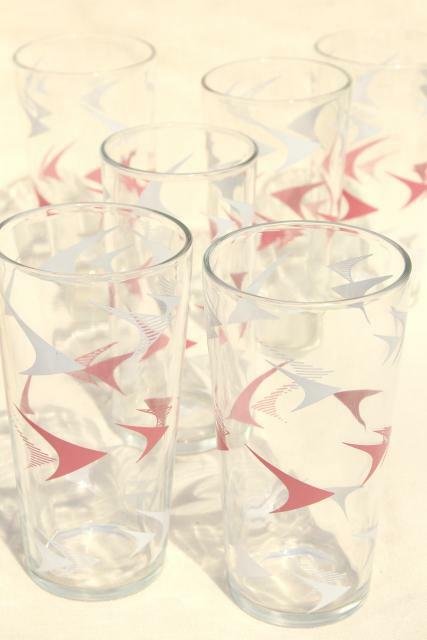 1950s vintage glass tumblers with pink and white boomerang design - very mod! 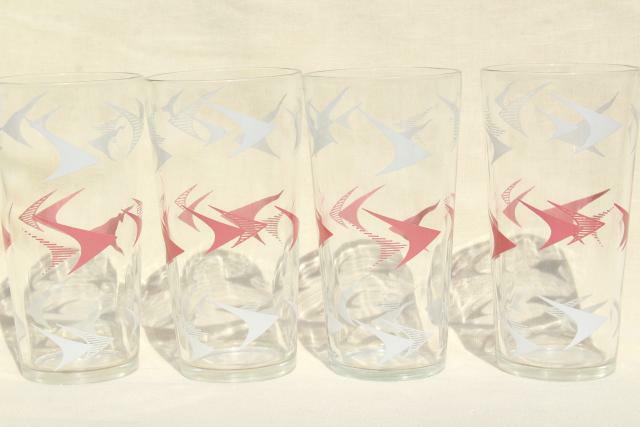 One of these glasses has a slightly different size and shape (all are close to 5 3/4" tall), though all six have the same identical print. 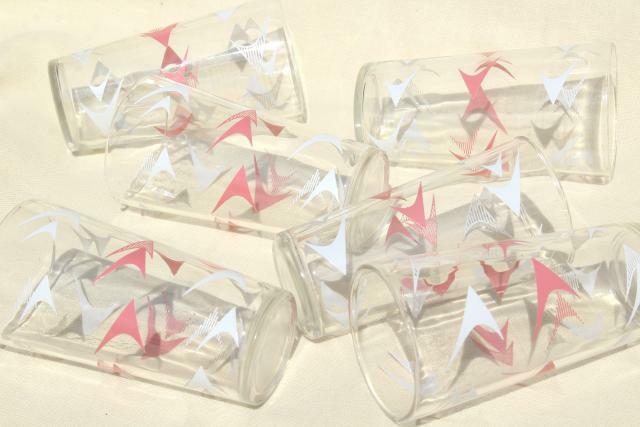 All six look good, without fading or wear, no chips or scratching.